Set in the aftermath of Iran’s fraudulent elections of 2009, Zahra’s Paradise is the fictional story of the search for Mehdi, a young protestor who has vanished into an extrajudicial twilight zone. What’s keeping his memory from being obliterated is not the law. It is the grit and guts of his mother, who refuses to surrender her son to fate, and the tenacity of his brother, a blogger, who fuses tradition and technology to explore and explode the void in which Mehdi has vanished. A graphic autobiography by Marjane Satrapi depicting her childhood up to her early adult years in Iran during and after the Islamic revolution. Author’s experiences in the Gaza Strip. Eleven-year-old Parvana pretends she is a boy in order to earn money for her family while her father is in prison. “Puu” (“Flower”) is a webcomic set in India about two gay roommates. 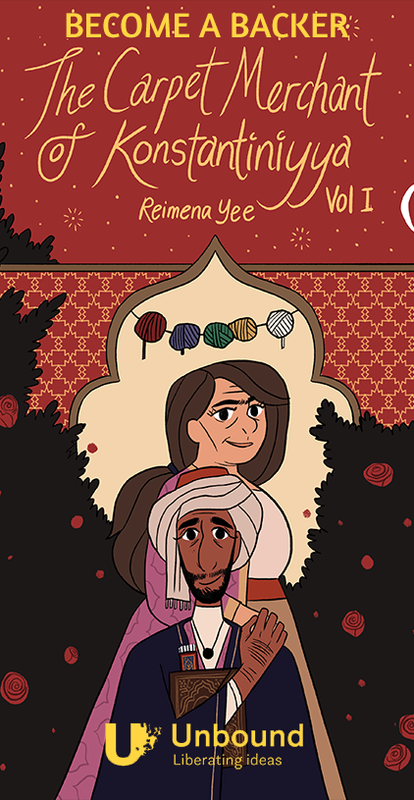 A queer space fantasy comic about Farah, a kind and idealistic human girl who is hired as a tech assistant on a smuggling ship after she accidentally stows away on it. As the fabric of the universe is beginning to unravel, the ship’s crew is sent to retrieve an ancient and unimaginably powerful artifact, and they aren’t the only ones who want it. Along the way, Farah must decide – is the future worth fighting for? Rei’s note: Yet another Turkish historical drama. I haven’t watched this yet, but it’s the same level as the above. If I miss anyone (I’m only typing up what I remember atm), or if you have any recommendations, let me know!